Father Davide Meli, a newly ordained priest from Nazareth, Israel, will celebrate the 11:15 a.m. Mass Sunday, July 13 at St. Anthony of Padua Church in Ambler. Immediately after Mass Father Meli will make a presentation in church in which he will talk about the Christian history of Jordan and the serious situation that people there are now facing. After completing his priestly formation at the Neocatechumenal Seminary in Galilee, Israel, he was ordained a transitional deacon and served at Immaculate Conception Parish in Al-Huson, Jordan, the sister parish to St. Anthony Parish, Ambler. For more information call 215-646-4742. 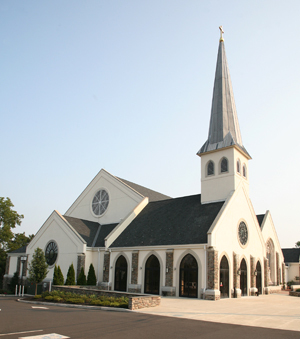 St. Anthony of Padua Church is located at 259 Forest Avenue in Ambler.